Without a doubt, one of the best ways to protect yourself, your family, and your property is with a trained protection dog from Wayne Simanovich. A trained German Shepherd protection dog can provide you with an around-the-clock security and crime deterrent option, letting you enjoy peace of mind knowing you’re truly safe. In 2012 alone, there were 33,472 breaking and entering crimes reported in Maryland. Additionally, there were 28,079 violent crimes, 14,493 motor vehicle thefts, and 161,737 property crimes committed across the state. These staggering statistics highlight the importance of personal protection. If you’re looking for protection dogs in Maryland, make sure you choose a world-class trainer with proven experience. At Simanovich Protection Dogs, we have world-class dogs and world-class trainers. Backed by years of experience and numerous wins in international dog training competitions, we know how to select the most talented dogs and give them the training and preparation they need to become the best training dogs on the planet. Our dogs have earned international awards & accolades in competitions. Our trainers boast over 30 years of combined experience, and have some of the best references in the industry. 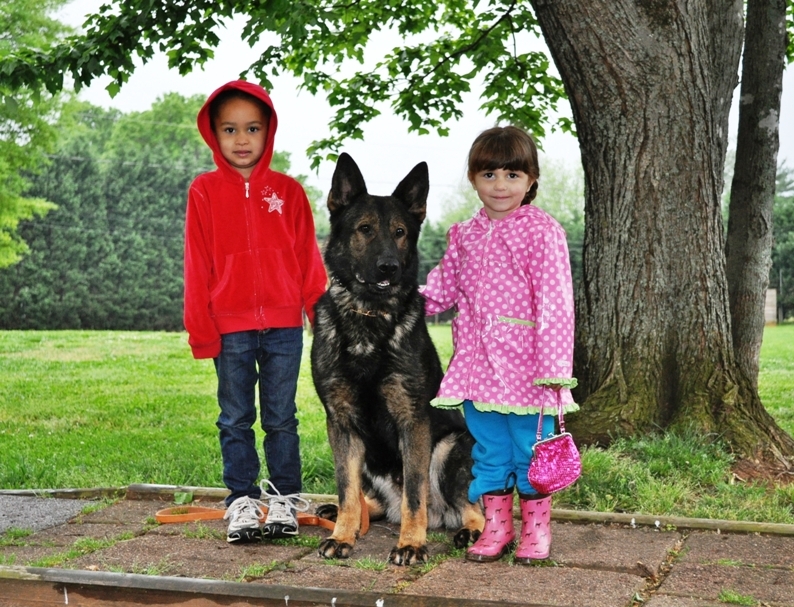 Our dogs are carefully selected from the purest working German Shepherd bloodlines. Our careful placement process helps to ensure that you receive the right protection dog for your unique needs and environment. There’s a reason we have an endless list of references from satisfied clients that include Terry Bradshaw, Joe Montana, Burt Reynolds, and many others. We never take shortcuts in our training and preparation programs. We’re always pushing ourselves to train the best protection dogs in the world, because we know how important this canine companion will be to you and your family. When only the best will do, choose a Simanovich trained protection dog. We can deliver your protection dog right to your Maryland home or business. Your protection dog will be personally delivered by one of our experienced handlers, and they will stay in town for a few days to ensure a smooth transition.